Ok, I’m not going to walk 500 miles. Or 500 miles more. (Let’s be honest, we don’t even know if Craig and Charlie Reid ever did; they’ve only ever said they would. Saying’s one thing, doing is another). But I will do the 10km London Memory Walk to raise money for Alzheimer’s Society. Yes! You heard right (read right?) I am gonna walk… 6 miles. About. Yes yes yes. I know. 10km. Walking too. I’m hardly Izzard, or Walliams, or Bishop, or any of those idiots who really put themselves out. But… running’s tiring! And swimming’s hard! And my Peak Flow is down to 400 at the mo when really it should be all the way up at 600. It’ll be a wheeze! Earlier in the year, during the World Cup, I organised a Tweepstake to raise money for Alzheimer’s Society (you can find out about that elsewhere on my blog- if you wish). The generosity of the folk who took part was astonishing. A handful of folk donated almost £1500 to the charity. Some of them are donating again, now, sponsoring me on the walk. Part of the reason (beyond the obvious reason of kindness and generosity) is to help me reach my target of £1966. We are now 84% of the way there; just under £300 to go. And now, here’s my most unusual plea: Please tweepstakers, please don’t donate anymore. You have gone above and beyond the call of duty. But… to the people reading this now who haven’t donated as yet, here is my simple plea: Please sponsor me 30p a km. Please donate £3 to Alzheimer’s Society. If all the people reading this now, who haven’t already donated, donate just £3 we will reach the target by the end of today. Please click on this link to donate now. Here’s something: Craig and Charlie Reid, Scottish, The Proclaimers. William and Jim Reid, Scottish, The Jesus and Mary Chain. Four brothers? Two singing about walking, the other two singing about tripping? That’s some sibling rivalry. Let’s not beat about the bush. Germany won. @DarrenK73 won for Germany after downing a monstrous amount of German wine and beer and donating a small fortune to Alzheimer’s Society. In second place came a strong and unlucky Argentina and @joyfeed. Argentina had their chances but, as the game went into extra time, Germany brought on a small boy and he scored a wonder goal. 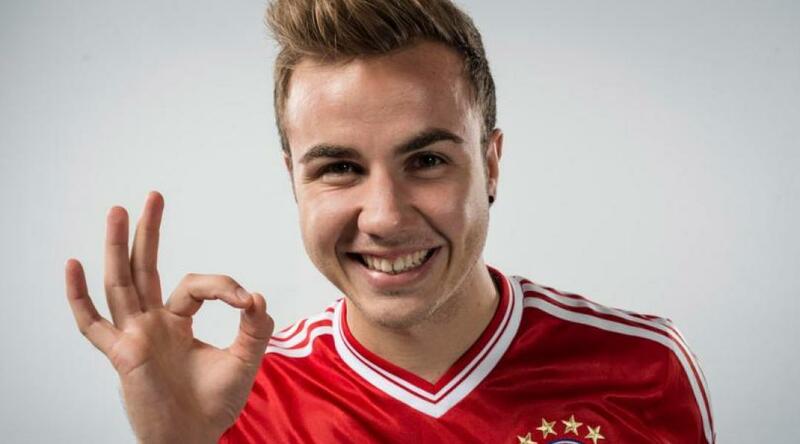 The small boy was fifteen year old Mario Gotze. Everyone who took part in the Tweepstake will get something but do please bear with me. I am still waiting on some items and I also need to collect all your addresses. Everyone will get: a letter, a certificate, a gift. And, for that reason, I am not going to tell you where you came in the Tweepstake; it can be a nice (or not) surprise. (Of course you could look up your placing on the internet, but I bet half of you can’t be bothered… and the top four all know where they came. But, for example, without looking up, would you @Arfablue know that you had come last? Sorry to include plot spoilers. And if you are wondering what team that is, well, it’s Cameroon). Along the way you all gave very generously to Alzheimer’s Society, some of you giving over and over. And can you believe that you lot have donated over £1300? A huge huge thank you. And now please raise your glasses to toast Germany and Darren. And why not singalong to a hit-filled medley from Germany’s greatest Schlager singer (and, as I’ve just discovered, an influence on Klowz und Betty). Here’s Heino! The last day. 32 days. 32 teams. 32 Tweepstakers. Before we look ahead to the final let’s (if we dare) take a look at last night. The host nation, Brazil, effectively won their match against Holland by only being beaten by a three goal margin. But, having said that, they did lose. It’s the first time since 1940 that Brazil has lost two matches back to back on home soil. Three minutes in and they were a goal down. 16 minutes in and they were two-nil down. The third goal from Holland came in injury time. What kind of sick-minded ref chose to add five minutes of injury time onto this game? Like Brazil could come back? Well, enough is enough; it’s a sad end for the host nation and a fitting end for a fantastic Dutch team. Now Louis Van Gaal, the Holland coach, is off to Manchester to take care of United. Watch out Premiership! 8pm. BBC. ITV. Estadio do Maracana in Rio de Janeiro. Now here’s the interesting thing; this is the third time these two have played in a World Cup final, and so far it’s 1-1 (Argentina won 3-2 in 1986 and Germany won 1-0 in 1990). Argentina will be looking for revenge for the last World Cup in 2010 when Germany knocked them out in the Quarter Finals 4-0! Other boffiny facts: This will be Germany’s eighth final (so far they have won 3, lost 4); the four they have lost make them the champion losers, no other team having lost as many finals; however, should they go ahead and win tonight they will equal Italy (also with four wins); the only team with more – five World Cup titles – is Brazil! Argentina need revenge for the last two World Cups. In 2006 and 2010 they were knocked out by the Germans! A hat-trick is unthinkable. Lionel Messi has failed to score in his last three games. A hat-trick is thinkable. I can’t predict this one. it’s the final. It’s too important. And I will remain impartial. Darren and peter (@joyfeed) can battle it out between them. I will end, instead, on some fun tunes. Here, for Germany, is one of the country’s top groups, Guano Apes, with Oh What a Night! And here, for Argentina, with no attempt to tie it into the World Cup, is Argentinian pop group Babasonicus with Aduana de Palabras. I don’t know what it means. There is a man-cat in it. Enjoy the game. Thank you all for taking part and helping raise in excess of £1100 for Alzheimer’s Society. I will be back tomorrow to sum it all up! (Oh, and if you remember, please DM your address if you were in the Tweepstake). 9pm. ITV. Estadio Nacional de Brasilia in Brasilia. Coach Luiz Felipe Scolari is expected to make some changes for this match… ideally he’d be best off changing himself, and that may well come about within the next few days. Brazil’s captain, Thiago Silva, is back after his one match suspension, but will that be enough to help the team recover after their devastating 29-1 defeat at the hands of Germany. (Ok, I exaggerate, but not that much). So, despite the irrelevance, both teams will no doubt find the idea of defeat unbearable. There’s only one option for this game and it won’t be pretty. It will be a 0-0 draw. And the same after extra time. And the same after penalties. The two teams, heartbroken in many different ways, will just keep on missing and missing and missing. There will be no goals. No celebrations. They will still be taking failed penalties when the next World Cup starts in 2018. Still, chin up, and good game everyone. To balance things out, here’s one for Brazil. It’s from Agridoce, a Brazilian folk duo also known as Pitty and Martin. Here they are singing, appropriately, The Smiths’ Please, Please, Please, Let me Get What I want. Though if they do, it won’t be the first time. I’m no expert, (Have I told you that over the last 29 days?) but I think Argentina had the edge over most of the game. Not that Louis Van Gaal, the Holland coach, would agree. He said: “At the very least we were equal with them, if not the better team.” Ok, but you still lose. And so sadly we say goodbye to @Braggovic. Well, not quite. Holland must now face Brazil and @Mojorainbw in the third place play-off. What’s the point of that? At the risk of sounding like a mardy teenager from some weak teen comedy set a few years back “get over yourselves, losers!” Here’s something me and Louis agree on, Louis stating: “In a tournament you shouldn’t have players play a match for third or fourth place.There’s only one award that counts, and that’s being world champion.” But, for the sake of the Tweepstake, I am going to quickly change my mind. All the best @Braggovic and @Mojorainbw (and, for the sake of world peace Holland, let Brazil win). But back to last night. What was Van Gaal thinking? He took Van Persie off shortly before the end, missing out on one of his best hopes of a penalty scorer; he used up all of his subs so he couldn’t put freakishly long-armed goalkeeper Krul on (who did such a good last minute job saving two penalties in the penalty shoot-out with Costa Rica in the quarter-final); he left regular goalkeeper Jasper Cillessen to stay in goal for the penalty shoot-out (a goalkeeper who has never saved a penalty in his entire professional career! ); and, when two of his strikers refused to take the first penalty, he said ok to that. Some of his decisions leave me feeling he was trying to win the match in the two hours of play! Oddly, all the press attention over the two semi-finals seems to have focused on the losers. Let’s not forget that Argentina won last night. 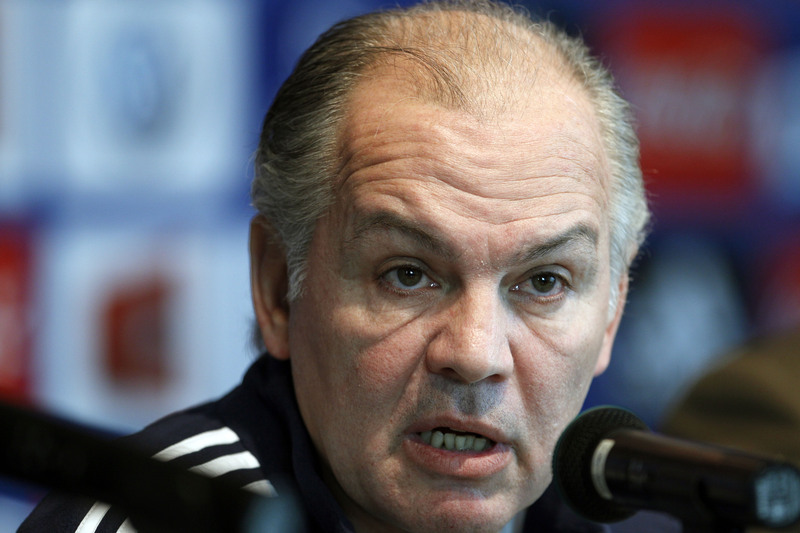 Argentina; a team managed by a former Sheffield United and Leeds United midfielder: Alejandro Sabella played for the two teams for a short period in the late 70’s and early 80’s before returning to his home country of Argentina. And that’s about as boffiny as I’m going to get on that one, choosing instead to return to some manager lookalikes. 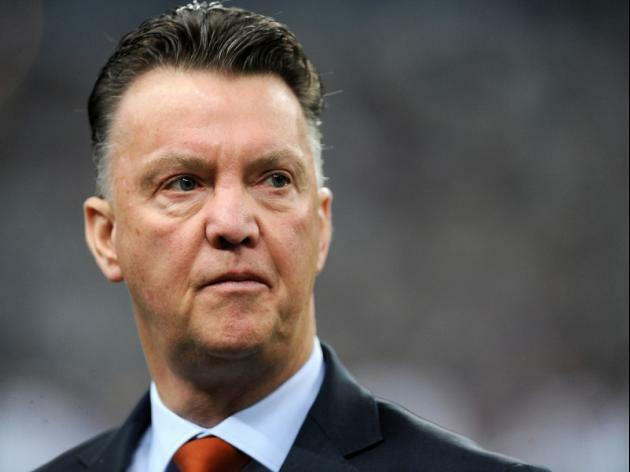 Louis Van Gaal in Going Home? 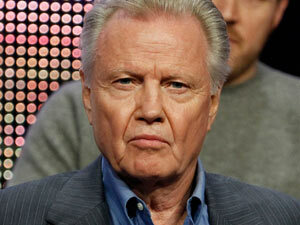 Jon Voight – The Champ or The Chump? And that’s it for today. A few days off even. If you’ve just read this and have no idea what’s been going on for the last 29 days please sponsor me just for the hell of it here. The plan is to raise £1966 for Alzheimer’s Society. It’s like a sponsored thing, but without me doing anything too strenuous; just writing and looking for funny photos. Bye for now. Unbelievable! Shocking! Have you all recovered? Everyone is asking the same question; How can Alan Hansen have such a good tan and such a white neck? And how could the host nation, Brazil, be beaten by a bunch of Dennis the Menace lookalikes? Of course, we must be careful with our jokes here. It’s not out of the question that the Brazilian team will all be sentenced to a free week at the David Beckham Football Academy. But will it come in time for the third place play-off? And will Brazil even bother turning up? If you didn’t see the game, or if you have missed the news, prepare yourself. The Brazil coach, Felipe Scolari, has described it as the “worst day” of his life, and that’s including the day he came third in a Gene Hackman lookalike contest and the day he caught Neymar drawing glasses and a moustache on his treasured 1964 Panini Pele card. Some fools, and I’m one of them, will say it’s only a game. But let’s look at the bad statistics first: it’s Brazil’s biggest ever World Cup defeat; it’s their first competitive home defeat in 39 years; the last time there was a goal margin this big was in 1920 when they lost 6-0 to Uruguay, 94 years ago! ; it took Brazil 51 minutes to even get a shot on target; it made children cry. The good statistics (particularly if you are German): 3 goals in 179 seconds! ; Miroslav Klose broke the World Cup scoring record; it’s the first time a team has scored 7 goals in a World Cup semi-final; 5 goals came in the first 29 minutes; it made children cry. And it’s tears of happiness for @DarrenK73 (Germany) in the Tweepstake and just tears for @Mojorainbw (Brazil). Mo was picked at number 12 when I did the draw. Before knowing which team she would get she pledged £12 to Alzheimer’s Society for every round her team would get through. And, even though going out last night, she still donated £12! Darren has also continued to donate at every stage throughout the tournament, as well as other of you who didn’t make it quite this far. You have all helped make this a truly fantastic World Cup and World Cup Tweepstake. So far you have all donated £1179.29 to Alzheimer’s Society. When I started this my plan, at first, was for it to be like an ordinary sweepstake where everyone gave, say, a tenner to be in it. That would have raised £320. I then realised I was in danger of falling foul of some gambling laws (and I don’t really want to encourage you all to gamble either) so instead I just asked for donations in return for some prizes and, hopefully, some fun. And look where we are now! Thank you. And the prizes are coming in now, ready for distribution once the tournament has ended. How I will give what to whom I have no idea, but I hope you will all be happy with what you receive. Just this morning the postwoman delivered a tube with two fantastic prints by the funny people at Modern Toss. A big thank you to you. And, whoever gets this in the Tweepstake, be prepared to have big funny swear words on your living room wall. 9pm. ITV. Arena de Sao Paulo in Sao Paulo. From a Tweepstake perspective this is one of those rare matches where both tweepstakers are men! Don’t be fooled by the ‘joy’ part, they’re the two Peters! But which Peter will prevail before going on to be beaten by Germany (only joking!)? Van Persie has an upset tummy so he might be out, but Argentina have super striker Sergio Aguero back! This is Argentina’s first semi-final since 1990 (they won that one only to be beaten in the final by … Germany!) This is Holland’s third semi-final in the last four World Cups! Here’s Sinead O’Connor singing Don’t Cry For Me Argentina on Dutch TV. Brazil and Germany have played more World Cup matches than any other side (102 and 104 respectively) and yet they have only ever met once; the 2002 Final. The score? Brazil 2 Germany 0. Brazil’s star player, Neymar, is out with a back injury. Their captain, Thiago Siva, is suspended. Germany are pretty fit. 2006- Germany go out at the Semi-Final stage. 2010- Germany go out at the Semi-Final stage. 2014- Has Germany’s time come or will they go for the hat-trick? To get you in the mood here’s Andreas Bourani with Auf Uns. As far as I can tell it’s the theme music from German TV’s World Cup coverage; a kind of unofficial anthem for the German team. But what about Brazil? I can’t bring myself to put up the official Pitbull thing, so here’s something a little more off the wall. This creepy tribute to Neymar should surely be Brazil’s official song. Thank you all for your contributions to Alzheimer’s Society. The amount donated now stands at a fantastic £1139.29. If you know of anyone who would like to donate do please point them to my Just Giving page here. At the end of the tournament I will be pestering all 32 of you for your addresses. if you want to get in there before I pester please DM me on Twitter. It’s simple. A deserving Germany (and @DarrenK73) beat a battling France (@Zoleipar) 1-0. at the mo, I do not know who they will face. Well one Germany and Darren. And maybe even more well done to Darren. He has been a strong and proud supporter of both Germany and Alzheimer’s Society and I congratulate both on reaching the semi-final of the 2014 World Cup. France had five shots on target and Germany’s goalkeeper, Manuel Neuer, stopped them all. Germany scored their one and only winning goal with their first shot on target. They have become the first nation to reach four consecutive World Cup semi-finals. Big congratulations. Here’s a clip from Germany v Greece from a while back. Not the German team of today. And so the first Semi-Final is decided. Next Tuesday Germany and @DarrenK73 will face Brazil and @Mojorainbw. 5pm. ITV. Estadio Nacional de Brasilia in Brasilia. And now, I’m off to Belgium. here’s Jacques to see us out. After a two day rest, here we go! Does that make me sound like a football type person? I hope so! Today the Quarter Finals start. The end is in sight folks. Four matches, then two, then one, then that’s that! (Not forgetting the daft game in between for third place; a sad match that really no one cares about except me; I’ll do my best). 5pm. BBC. Estadio do Maracana in Rio de Janiero. So, Joachim Low, the German coach, says all of his team have the flu. Is this a tactic? I’d like to say Didier Deschamps, the French coach, has come back and said all of his team have runny bottoms. But he hasn’t. Yet. How to call this one, the clash of the European heavyweights? It’s going to be klose. Out of 26 meetings France have won 11 times, Germany 8, and 6 draws. But, here’s the thing; @DarrenK37 has not only donated a fortune to Alzheimer’s Society, he has also drank the national drink of his team (Weissbier und Riesling) throughout the tournament (even on days when there were no matches). His dedication to the cause is exemplary. As for @Zoleipar, my wife, well… she’s been drinking Sauvignon Blanc… from New Zealand! I don’t even think she has donated yet! But then she did do the John Barnes rap from World In motion. It’s a start. I can’t predict it. Penalties, that’s all I’m saying. Penalties and the most dramatic shoot-out so far. God give them strength. 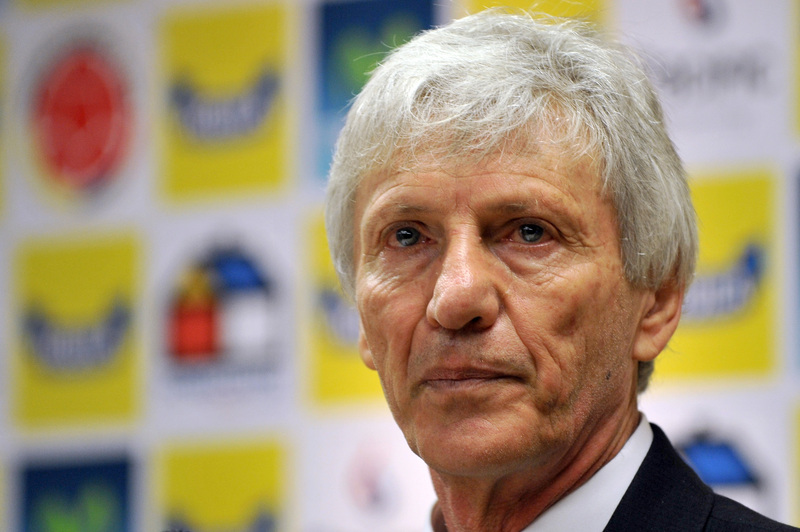 Talking of which, let’s end on a song as Jose Pekerman joins his good friend Elvis Costello. With one day to go to the Quarter Finals, here’s some quick details of the matches, times and stations for the eight who are still with us (though I hope a few of you who are out are still enjoying taking part- don’t forget, even though you’re gone, you will receive a ‘prize’ ). 5pm. BBC. Estadio do Maracana, Rio de Janeiro. 9pm. ITV. Estadio Castelao in Fortaleza. 5pm. ITV. Estadio Nacional de Brasilia, in Brasilia. 9pm. BBC. Arena Fonte Nova in Salvador. I’ll do previews for tomorrow. Today I’m just going to do a quick recap of why were all in this Tweepstake anyway. Firstly, it’s fun. Fun for me, hopefully fun for all of you. I’m no football expert, and I’m guessing some of you aren’t either. But it’s a World event and (despite the corruption, the match-fixing, the ethics of such a costly thing taking place) it’s something that unites us through a game, not a war. And thirdly, we’re all trying to raise money for Alzheimer’s Society. I’ve set the bar high with a target of £1966. For once, in football terms, it would be nice to hit the bar! So far, thanks to the extraordinary generosity of you all, we have raised £1089.29. That’s amazing, and far more than I could have hoped for if we had done an ordinary sweepstake event. Some of you have your own reasons for supporting Alzheimer’s Society, reasons of family and those around you and close to you being affected. Some of you may know of others affected by Alzheimer’s and Dementia. All of you are incredibly kind and generous. I can’t ask for anymore from you. But if you know of any others who would like to donate, please join me in pestering them like I’ve been pestering you. Alzheimer’s has been in the news a lot lately. The Government has promised to do more, but only the other day the Alzheimer’s Society pointed to the “desperate shortage” of support for people following diagnosis. In a survey by the society they found that out of 400 people affected by dementia a fifth had been given no information or support following diagnosis. 800,000 people in the UK have a form of dementia; that means a possible 40,000 people are going without support. Alzheimer’s Society not only offer support, they also work tirelessly to make sure this is making the news, to make the government act, to help the NHS and those working in it to offer the best possible treatment and care to those we love. You know all this. Please tell others. They can donate (even just the price of a pint) here. That’s my banging on done. I promise tomorrow will be about football.